Before I started Banting I was overweight with diabetes cholesterol high blood pressure. Then I heard about it from saw the book real meal revolution in the book store. 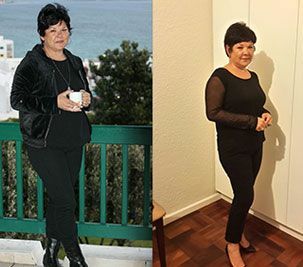 What happened next was I read most of the book and decided to try it as I am diabetic have high cholesterol and high blood pressure I have also battled with weight gain for years. And now My diabetic meds has been reduced from 4 glycophage per day to 2 per day , I am off my insulin as well. My Cholesterol has come down, so from been told to have 1 egg a week to eating eggs everyday (which I love) my cholesterol has come down. So BIG question ?????? What have we been forced to believe all these years? blimey some hogwash if you ask me. That been one example. Banting has changed my life the food is awesome I feel great and on top of all that I lost 9kg. People will always find fault with something good and positive. I think it is by time the public start questioning things we have been told is good for us prior to Prof Noakes launching Banting. The food we were told was good for us is all food where nutrition has been sucked out of it with the result we would have to take VITAMINS to replace what our body would need. !!!!!!!!! Prof Noakes and your team!!!! WELL DONE, AWESOME WORK and a huge THANK YOU THANK YOU THANK YOU.